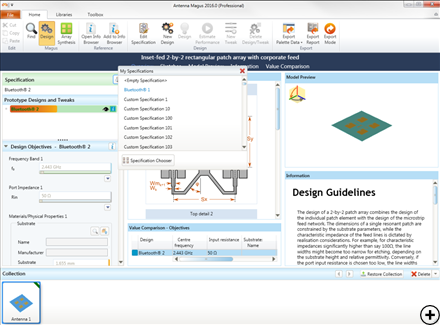 The Specification Library may be used to store various design specifications in a structured format. These Specifications may subsequently be used in Find Mode (to help identify feasible antennas) as well as in Design Mode (to populate the Design Objectives of antennas in the Collection). A number of pre-defined specifications are included as part of the library. These pre-defined Specifications may be used as-is or expanded and refined by the user. Each Specification contains Values representing the performance requirements of the targeted design, as well as Keywords describing the required antenna. 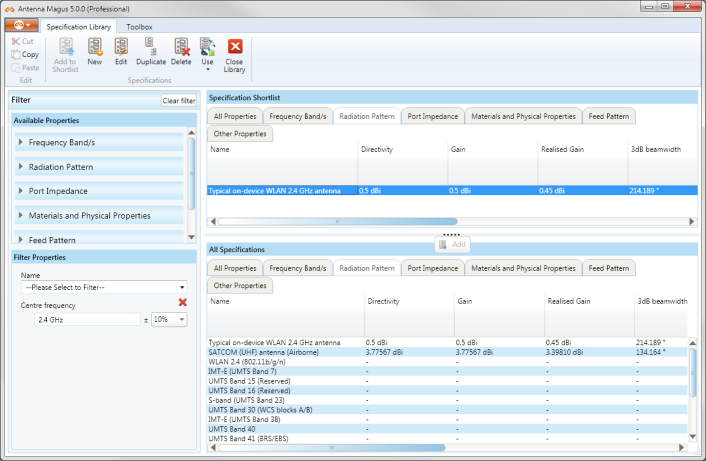 Specifications may be defined and refined using a number of tools provided in the Specification Editor interface. 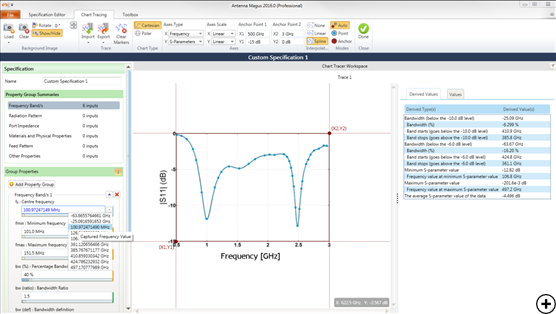 These tools include the Antenna Magus Keyword dictionary, the Conversion calculators (also available in the Design Mode) and the advanced Chart Tracer tool. 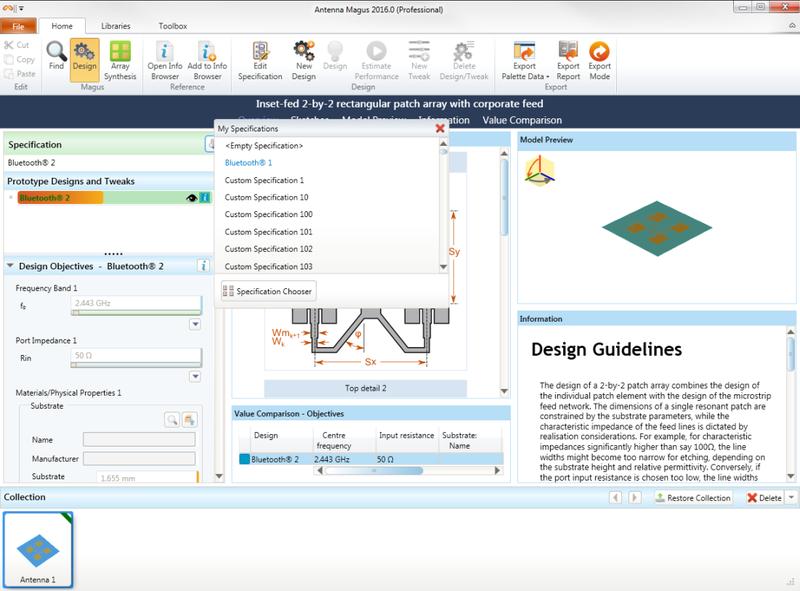 The Advanced Chart Tracer Tool inside the Specification Editor. Using values for a specification to populate design objectives. 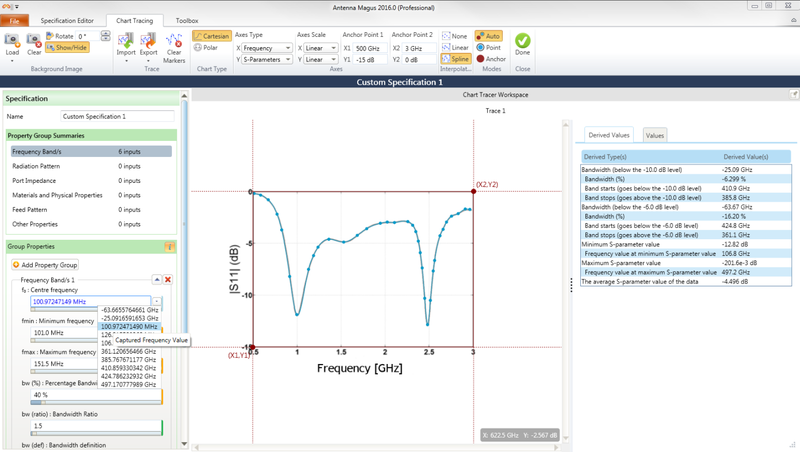 Specifications stored in the Specification Library may be used to populate the Keyword search terms in The Find Mode of Antenna Magus, and may also be used to populate the design objectives of all antennas quickly and easily.